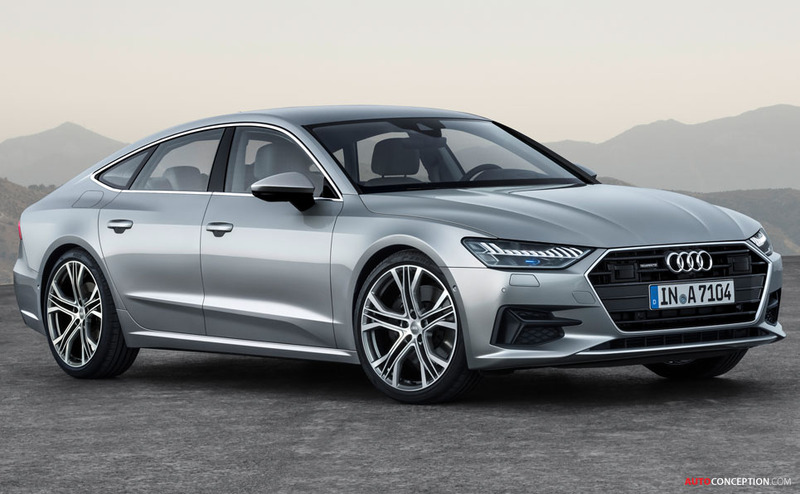 Audi has officially revealed the new, second-generation A7 Sportback, the brand’s executive class five-seater that will challenge the likes of the Mercedes-Benz CLS and BMW 6 Series Gran Turismo. 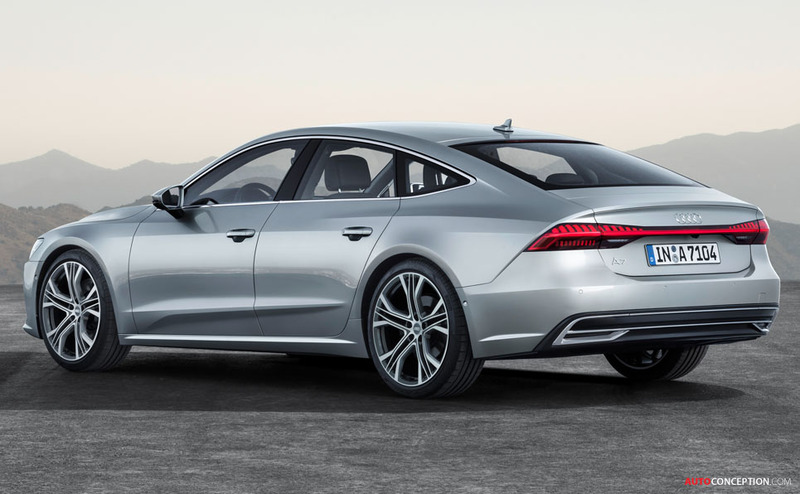 The 2018 A7, which measures 4,969 mm long, 1,908 mm wide, and 1,422 mm high, incorporates the new design language that Audi first introduced with the 2014 Prologue concept car and that made its production debut in the new Audi A8. 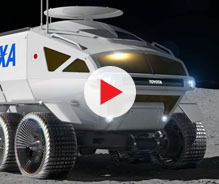 Mounted on large wheels – up to 21 inches and 255/35 – the new car is shorter than the current road-going version, although its wheelbase grows longer by 13 mm to measure 2,926 mm. 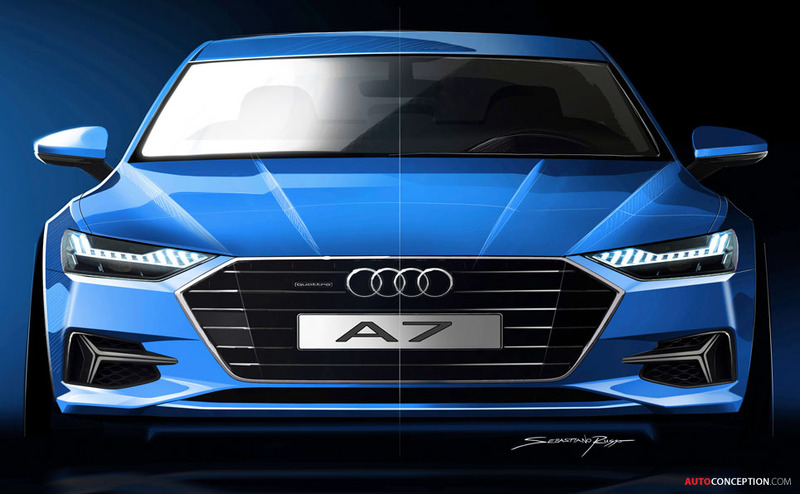 Up front, the ‘Singleframe’ grille sits wider and lower than that of the A8, accompanied by narrow headlights and enlarged air inlets. 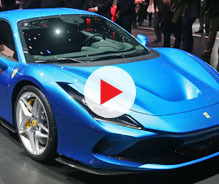 As with the previous model, though, the tapered rear with its long luggage compartment lid terminates in a pronounced, curved lip from which an integrated spoiler extends automatically at 74 mph and above. 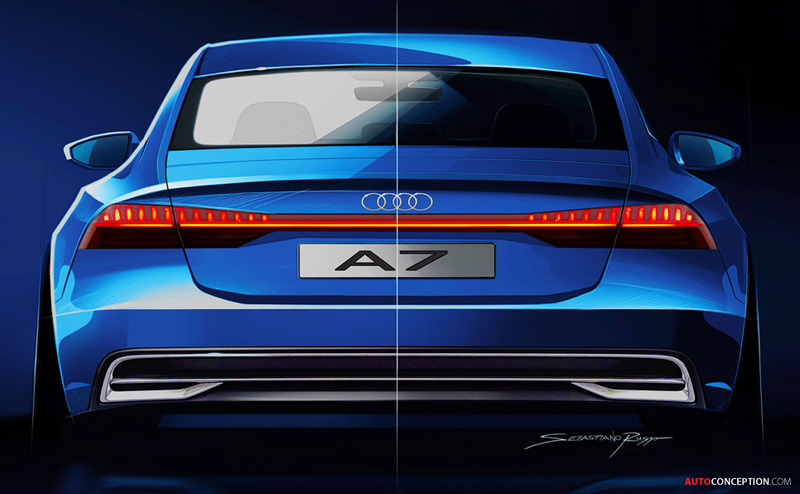 A flat light strip – a design feature common to all of Audi’s top models – joins the rear lights, whose tail lights are made up of 13 vertical segments. When the doors are unlocked and again when they are locked, fast-moving light animations play in the rear lights and also in the headlights. 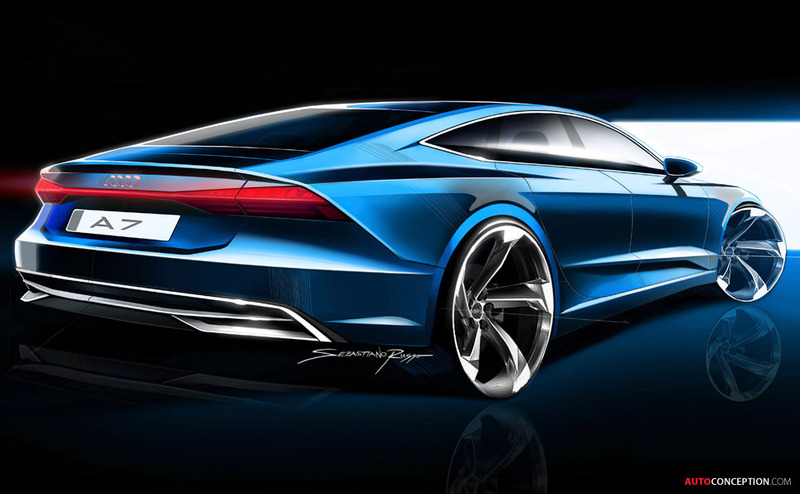 On the inside, the new A7 also continues the digitalisation strategy of the A8. 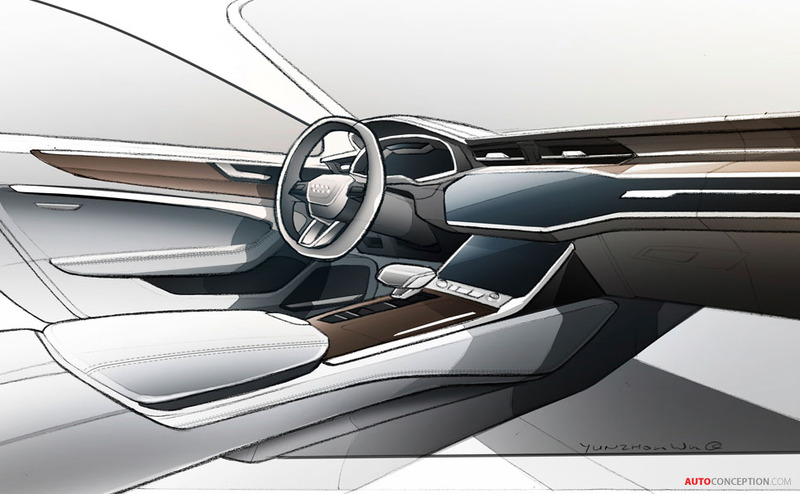 The interior architecture is built around Audi’s new MMI touch response operating concept. It replaces the rotary push-button and the conventional buttons and controls of the previous model with two large, high-resolution touch displays. 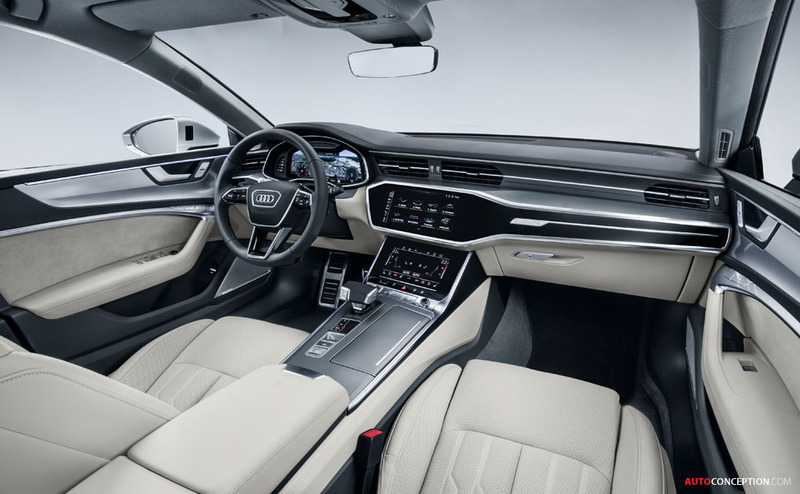 The driver controls the infotainment system from the 10.1-inch upper display, while the 8.6-inch lower display, mounted on the asymmetric console of the centre tunnel, provides access to the climate control system, comfort functions and text input. 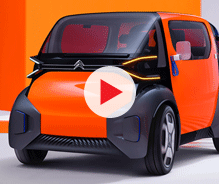 A head-up display that projects information onto the windscreen comes as an optional extra. Compared with the previous model, the interior length has also increased – but only by a marginal 21 mm, resulting in a little more rear knee room. Rear passengers also get more head room. The loading width has also increased compared with the previous model and now measures 1,050 mm. The luggage compartment, meanwhile, has a base capacity listed at 535 litres, which increases to 1,390 litres with the rear seats folded down. 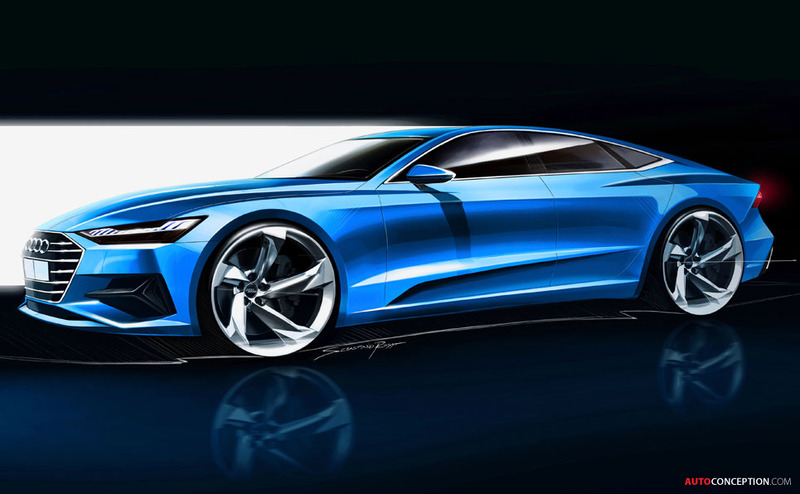 Underneath, the refreshed model will initially launch with the 3.0 V6 TFSI petrol engine, which produces 335 bhp and 368.8 lb-ft of torque, propelling the car from 0 to 62 mph in a claimed 5.3 seconds and on to a top speed of 155 mph. 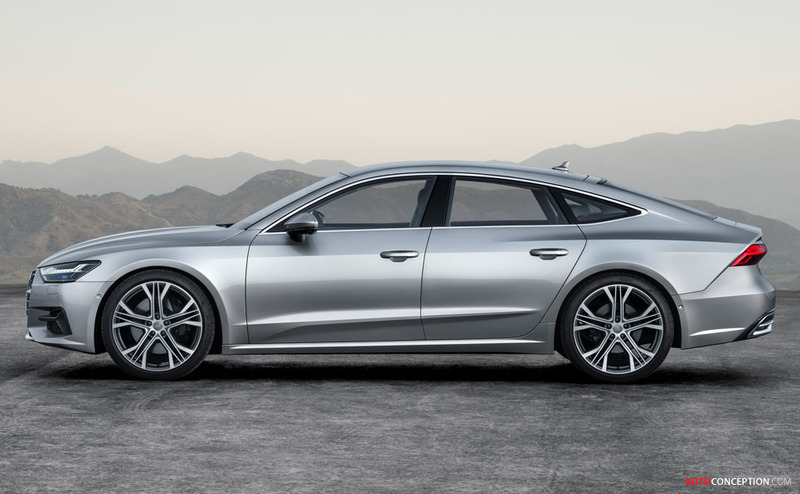 In the NEDC, Audi claims the entry version of the A7 55 TFSI returns up to 41.5 mpg, corresponding to CO2 emissions of 154 grams. 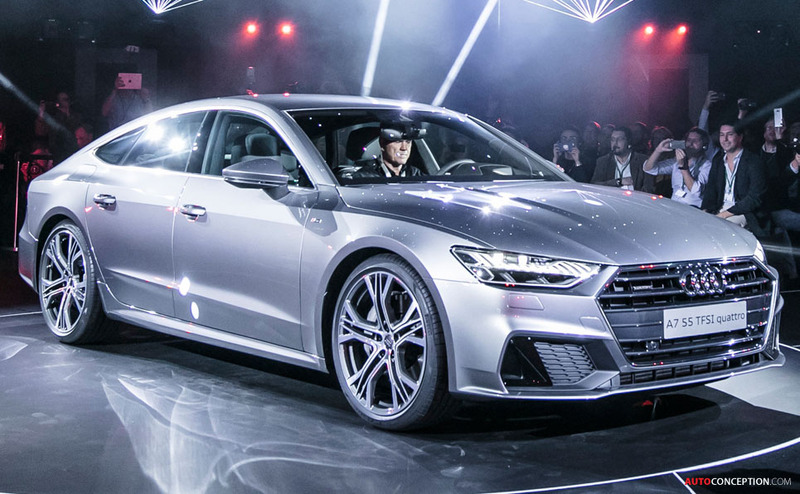 The 3.0 TFSI is paired with a seven-speed S tronic twin-clutch transmission. 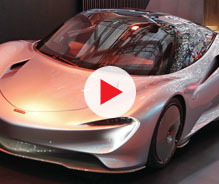 Additional six- and four-cylinder engines, both petrol and diesel, will follow shortly after the start of production. 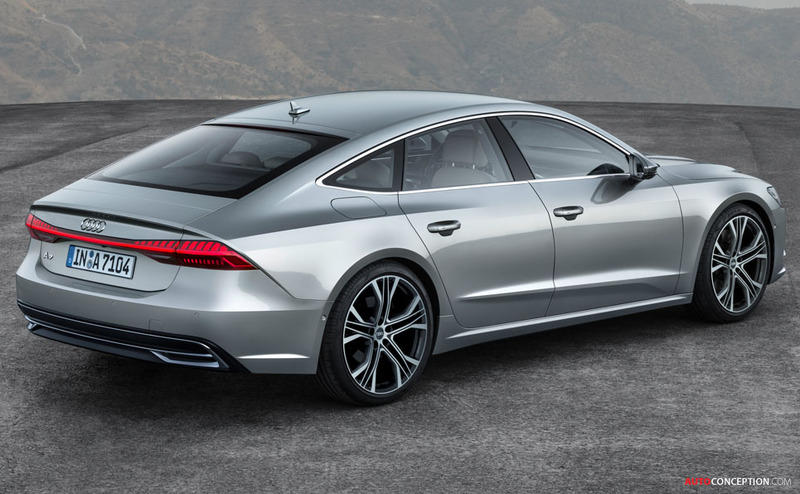 Produced at the Neckarsulm site in Germany, the new A7 Sportback goes on sale in the UK from early 2018.